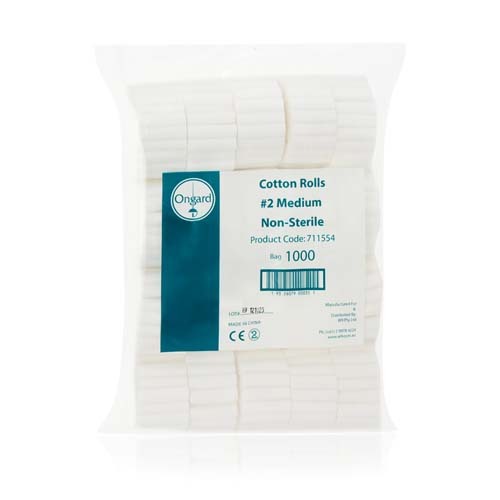 Ongard Cotton Rolls are 100% Virgin Egyptian Cotton and are lint free and highly absorbent. Conveniently grouped in bundles of 50 rolls. Description: Ongard Cotton Rolls are 100% Virgin Egyptian Cotton and are lint free and highly absorbent. Conveniently grouped in bundles of 50 rolls.